To answer the question is gold a good investment, it is important to know what you are looking for in an investment. If you’re looking for an investment where the risk of losing all of you’re money is low and it does not take any additional funds to maintain, gold may be the best investment for you. Also it is important to know if you are looking to invest long term or short term. If you a looking to invest in a long term basis; physical gold would be a good investment for you. Gold is an ideal investment if your main reason for investing is to preserve your wealth. Gold is unique when it comes to portability and ease of storage. If your main goal of investing is wealth preservation, I would recommend gold bullion. 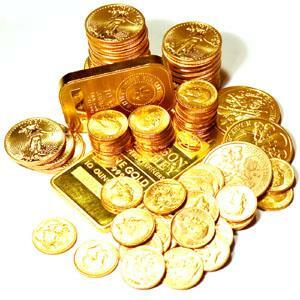 Gold bullion consists of gold coins or gold bars that are usually a little above spot price. If your main goal of investing is building wealth over a long period of time, I would recommend numismatic coins. Before investing in numismatic coins it is important to do your research and know witch coins tend to build numismatic value over time. If you are looking for something that can make you money investing in gold without having to store physical gold, you can invest in gold stocks or gold ETFs. The downside to this is if you invest in the wrong stocks you can lose money even if physical gold goes up in price. My recommendation is if you want to invest in gold it is best to take possession of the physical metal. The best answer to the question is gold a good investment can only be answered by knowing what a person is looking for in an investment.